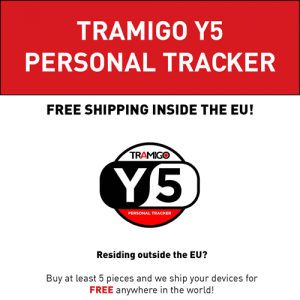 Tramigo Y5 Personal Tracker is now available for order. We ship worldwide. Estimated delivery time is 7 business days. Free shipping in European Union! Shipping outside the European Union is 49 EUR/order. Tramigo Y5 was developed with global travelers in mind. 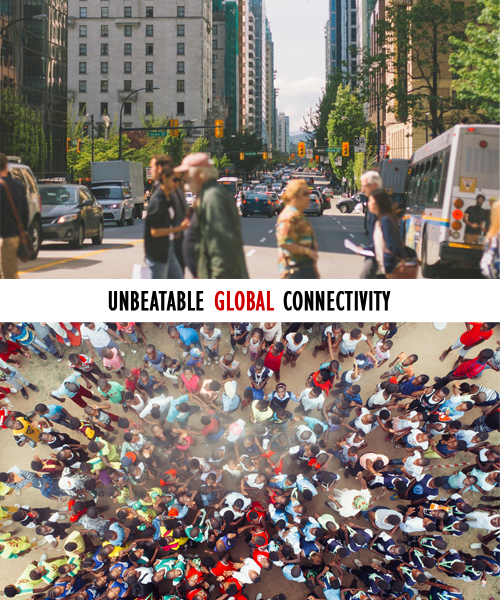 Whether you are a frequently traveling business professional or a tourist who wants to have that extra peace-of-mind; Tramigo offers global pay-as-you-go data packages work in more than 170 countries with one flat rate. You can buy a data package that is best suited for your needs whether it is a short trip or enjoy big discounts when you buy a 1-year plan pay-as-you-go global plan. Optimized Pay-as-you-Go Packages for active users or random travelers. 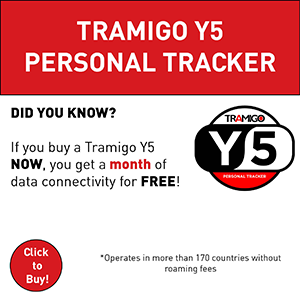 Buy a Y5 personal tracker and get a FREE month of data to support global use. Find the data package that best fits you! 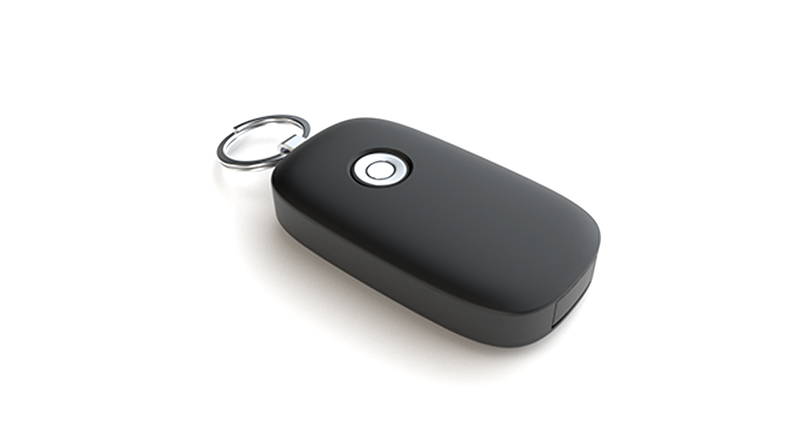 A small personal tracker designed to be convenient and multi-functional. The inconspicuous design is to accommodate for the needs of security-concerned individuals who are driving regularly or in environments that have higher risks. 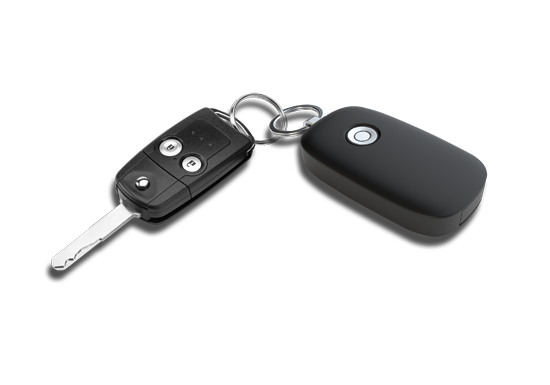 Personal safety device which has been designed to convincingly resemble a replacement car key holder increases the chances of it going unnoticed in the moment of crisis. The design also makes it very easy to use inside bags, attach and hang on clothes or a women's hand bag for example. 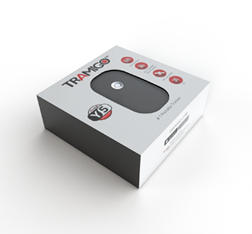 Tramigo Y5's precise indoor positioning or WPS(Wi-Fi) Positioning system is offered in partnership with Google. Y5's Wi-Fi chip can detect and get positioning support from all Google supported Wi-Fi hotspots globally. Tramigo selected Google as its partner as the accuracy depends on the number of positions that have been entered into the database. Google has the widest such database globally. The Wi-Fi hotspot database gets filled by correlating mobile device GPS location data with Wi-Fi hotspot MAC addresses. 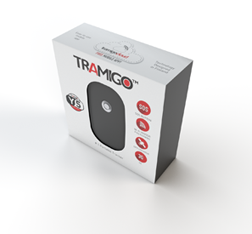 Other person tracking products that have Wi-Fi Positioning use significantly smaller global database providers, and as result the indoor positioning is not as accurate than with Tramigo Y5 powered by Google's WPS. Especially in large cities with complex buildings and a lot large indoor locations such as malls, subways, tunnels, skyscrapers etc. 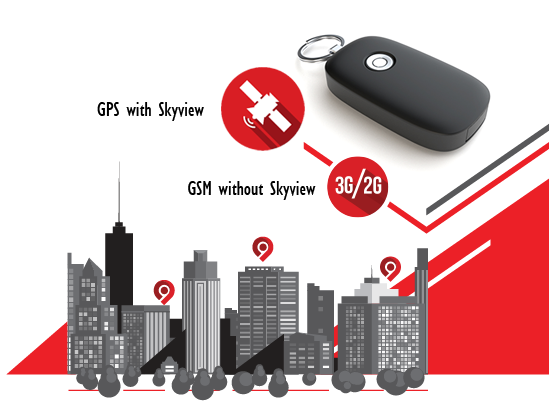 downtown areas Y5's Wi-Fi chip gives a totally new level of real-time location of the person or asset tracked, only GPS based portable locators or tracking devices are not able to offer similar level of reliable and real-time positioning as Y5 with it's powerful combination of GSM, GPS and Wi-fi positioning combo. Battery life With average use: 1-2 days. Up to several weeks depending on settings. 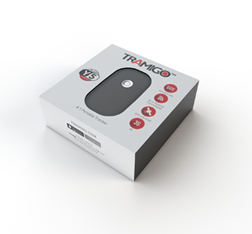 Coverage: Tramigo eSim is available all over the world, in more than 170 countries. 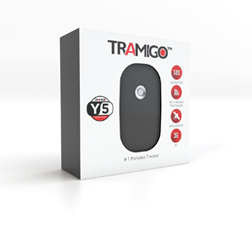 Tramigoy5.com is owned by Tramigo Ltd. Tramigo Ltd is the manufacturer of the worlds leading vehicle, asset & personal trackers.